Melbourne's Best Quality Truck Tyres, Light Truck Tyres, Commercial Tyres, Car Tyres, 4x4 Tyres, Industrial Tyres, Agricultural Tyres & Service. 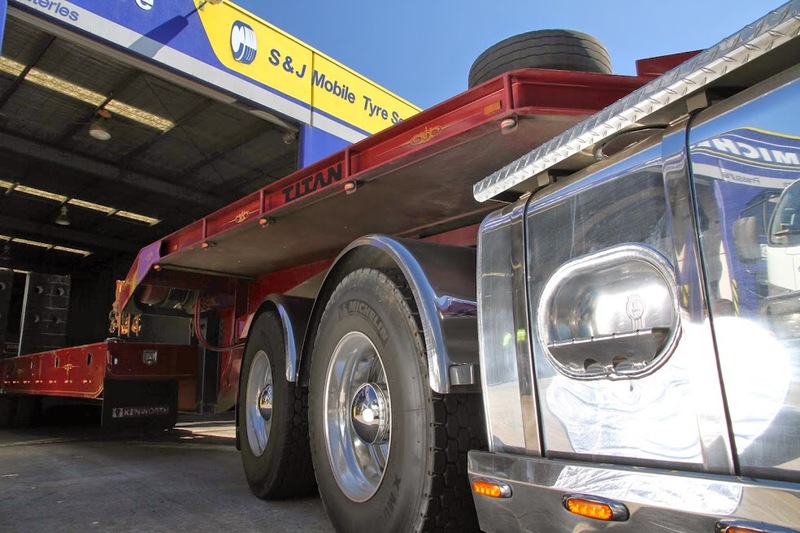 S & J Mobile Tyre Service - Kumho Platinum Dealer specialise in premium & budget Truck Tyres, Bus Tyres, Trailer Tyres, Light Truck Tyres, Earthmover Tyres, Industrial Tyres, Agricultural Tyres, Car Tyres, Van Tyres & 4x4 Tyres. Located in the busy industrial hub of Campbellfield, Victoria and also servicing Melbourne's North/North West regions with 3 mobile service units equipped for on site tyre fitting, truck tyre repairs & 24/7 roadside breakdowns. "Downtime becomes a thing of the past." A family owned and operated business for 26 years, experience and pride together give you piece of mind knowing your vehicle is in safe hands. Dealing with predominantly owner / drivers, we pride ourselves on providing a more personalised approach to our customers. We believe in providing a tailored service to everyone we deal with, understanding that every business works differently. We provide a 24-hour / 7 days a week emergency breakdown service for truck operators nationwide. This service complements the service provided in our workshop by providing truck operators the extra support and service they need. We are also part of the Michelin network. We offer truck operators professional service solutions, expert product knowledge and the highest quality range of tyres in the country. A one-stop-shop for truck and bus tyres, as well as related services which include wheel balancing, professional tyre repairs and regrooving – saving customer’s time and expenditure on maintenance and servicing. Xcavate It's 'FLOATU' at S & J Mobile Tyre Service. S & J Mobile Tyre Service Emergency Response Vehicle for the CFA during the 2012 Victorian bush-fires.